We shared details earlier this year on a Microsoft Cloud Society contest with an all expenses paid trip to Mauritius. 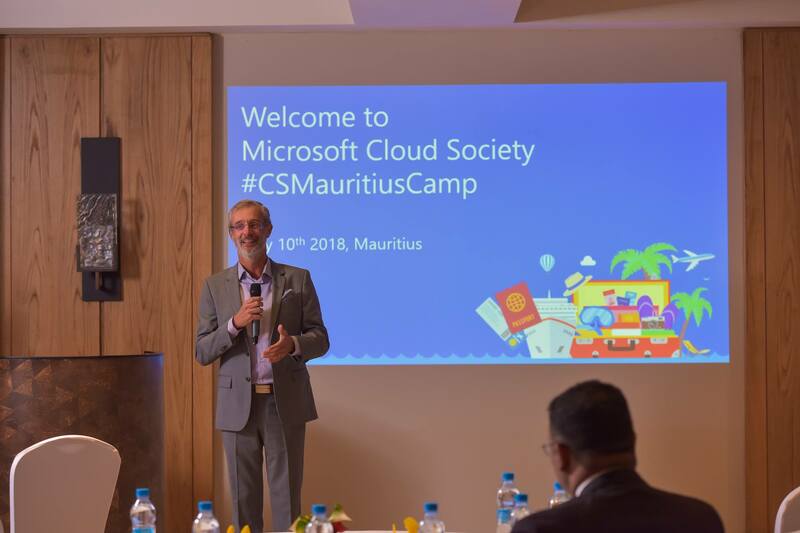 Winners of the contest were selected and have participated in the first Microsoft Cloud Society camp held in Mauritius. The camp was focused on helping train the selected IT professionals, developers and students from the Middle East and Africa region on disruptive technologies. Training them on Microsoft’s cloud technologies in everything AI, Cloud Infrastructure, IoT and how to transform data into intelligent actions. The contest was also a way to reward members of the Microsoft cloud society. Speaking to participants, Microsoft’s Intelligent Coud Technology officer, Marc Israel, said “we are here to talk about this innovation that has changed and is changing the world. We asked how could we raise the awareness and competencies of people around cloud technology”. The Microsoft Cloud Society program offers content of more than 100 courses and topics. Kayode Damilola Sowole a contestant from Nigeria won a spot to the camp by taking the Azure Cloud Administration course. His aim for skilling up, as he shared was to be able to design, install, test and maintain software systems he develops. Kayode got selected to attend Microsoft Ignite later tis year in Orlando, Florida.